In 2015’s Daddy’s Home, audiences saw sensitive stepdad Brad (Will Ferrell) go to war with badass biological dad Dusty (Mark Wahlberg) for the affections of Dylan, Megan and their mother Sara (Linda Cardellini). 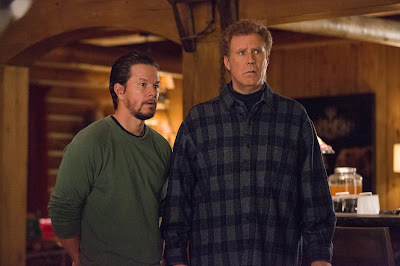 Since then, Brad and Dusty have put aside their differences and settled into a working relationship as “co-dads,” but their lives are thrown into chaos with the holiday arrival of their own fathers: over nurturing Don (John Lithgow) and alpha male Kurt (Mel Gibson) in Paramount Pictures’ comedy sequel, Daddy’s Home 2. While Dusty served as the primary antagonist in the first film, the arrival of Mel Gibson’s Kurt finds Dusty struggling with an identity crisis. In Philippine cinemas November 29, Daddy's Home 2 is distributed in the Philippines by United International Pictures through Columbia Pictures.